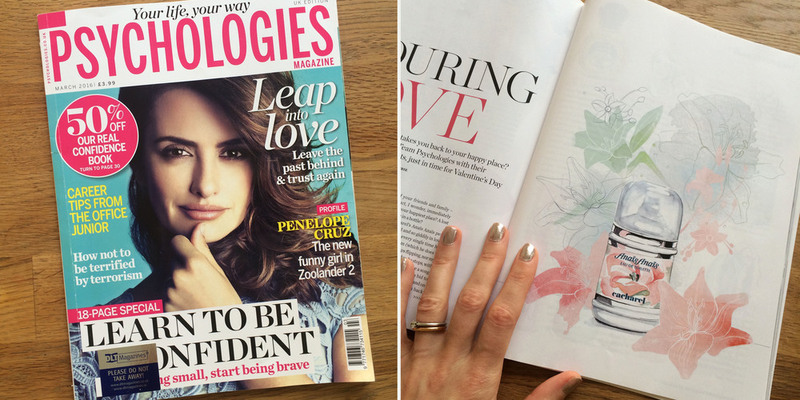 Back at the start of 2016 I was approached by Psychologies magazine to help with a feature called Enduring Love. It looked at the memories that can be evoked through smell, and how everybody has at least smell which instantly takes them back to an important time in their life. I was asked to draw a portrait of each of the editorial team, as well as the beauty product which held important scented memories for them. A really lovely commission. 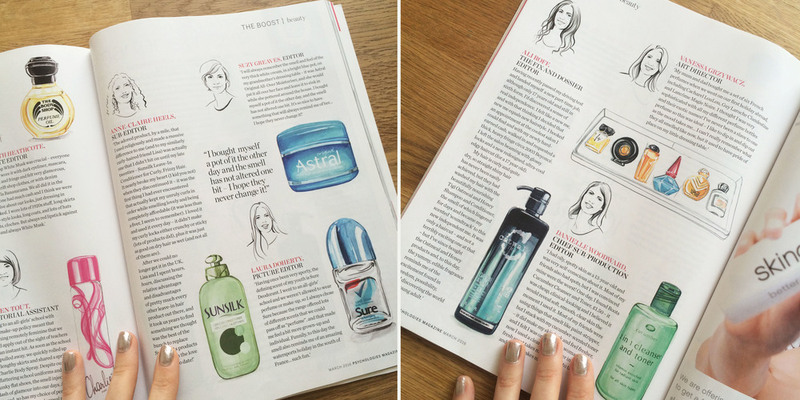 Thanks Psychologies!